I've got one more Halloween card for you. 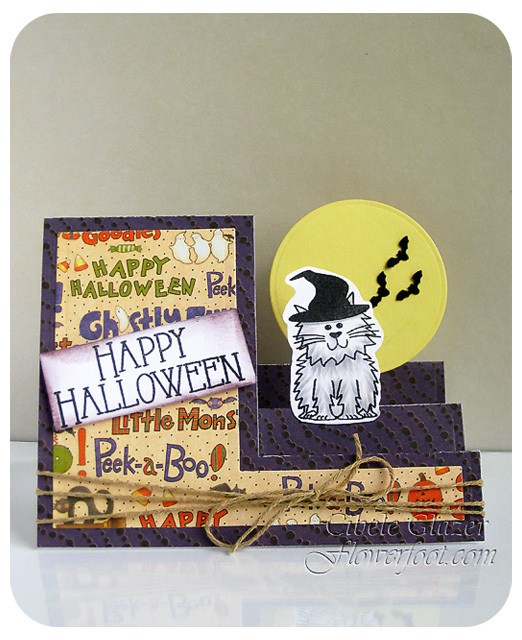 For this one I used the Heart Step-Up die and the critters4halloween stamp set to create a cute little scene. The bats are from a border punch from Martha Stewart. 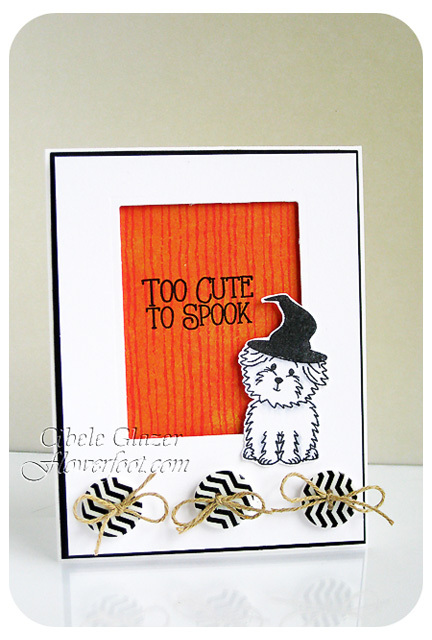 Believe it or not, the stores are already putting the Halloween stuff out so here's a cute little card using the new critters4halloween stamp featuring Cookie. 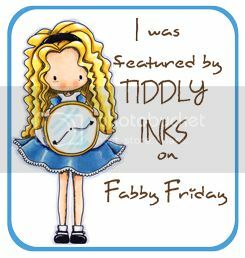 I also used the Black Chevron buttons and some twine as my embellishments. 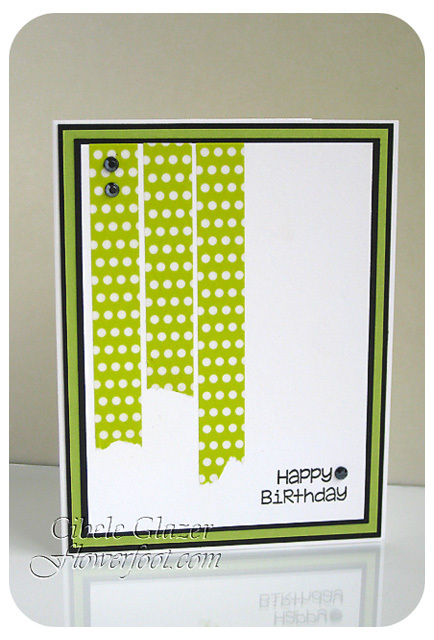 Here's a super simple clean and simple birthday card using the new Kiwi Dot Washi tape from The Stamps of Life. 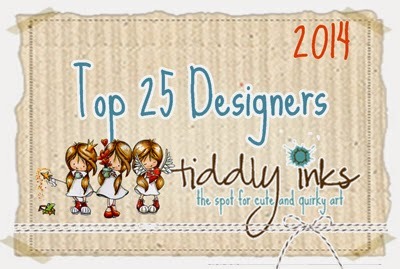 I used Licorice and Kiwi cardstock and the sentiment from presenttriplits2stamp. I also added a couple of adhesive gems. I love the graphic feel to this card and it's perfect for a guy.